How Hot Should My Gas Grill Get? This is a great question and one we get a lot! No matter how big or small, all our gas grills are designed to max out between 500-550°F. From our smallest liquid propane Gas Go Anywhere to our largest natural gas Summit you’ll get the same outstanding performance! A common misconception is that grills with higher BTUs will get hotter than grills with smaller BTUs. That is simply not the case with our grills. Our grills are built for efficiency and high BTU outputs aren’t needed to get outstanding results on our grills. 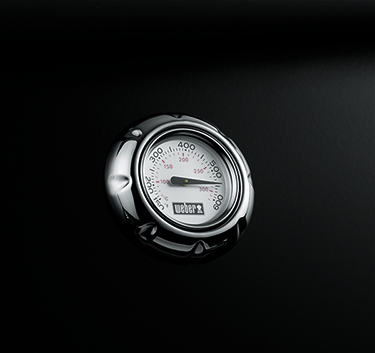 Larger grills will have greater amounts of BTUs because they require more gas to supply additional burners, more features such as a side burner or rotisserie, and to effectively heat a larger grill body. To make sure your grill is working properly listed below are standard temperature ranges for low, medium and high on our gas grills with all burners on. Grilling is not an exact science. You may need to experiment with heat settings and the number of control knobs you have on to achieve these temperatures. Please keep in mind these are “ranges” and there are many variables that can affect this. 1. The “start” setting that you use to light your grill is also the “high” position. As you continue to turn your control knob you go from high to medium to low at the farthest right position. 2. Always grill with your lid down except half way during the grilling process to flip your food. 3. Make sure your burners tubes are clean and free of any obstruction. For information on cleaning your burners click here. 4. For liquid propane (LP) grills there is a safety device in your hose and regulator that can reduce the flow of gas to your grill. For more information on that topic please click here. 5. For some great natural gas (NG) grill tips please click here. Now that you know what temperature your grill is supposed to get up to and your different ranges try experimenting with different types of food. You can go low and slow with some wings or high heat to sear a porterhouse!